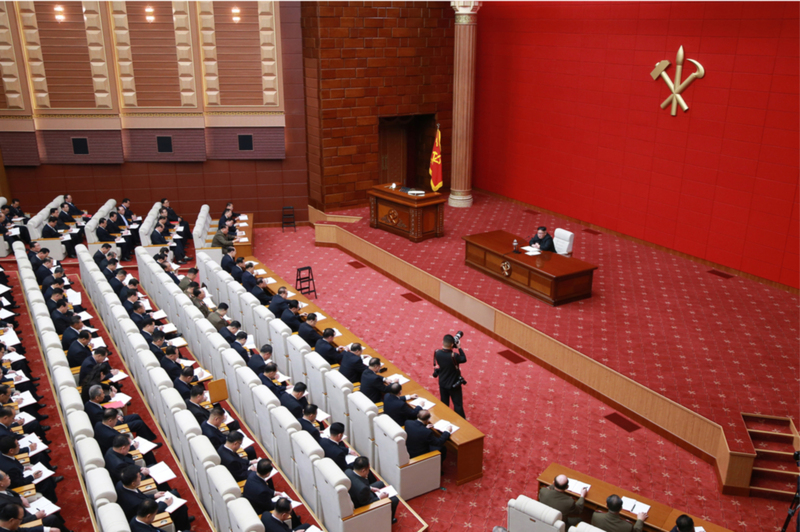 The fourth plenary session (plenum) of the 7th Term Workers’ Party of Korea [WPK] Central Committee [CC] was held in central Pyongyang on 10 April (Wednesday). 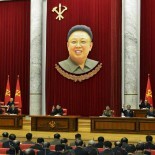 Kim Jong Un chaired and directed the meeting. 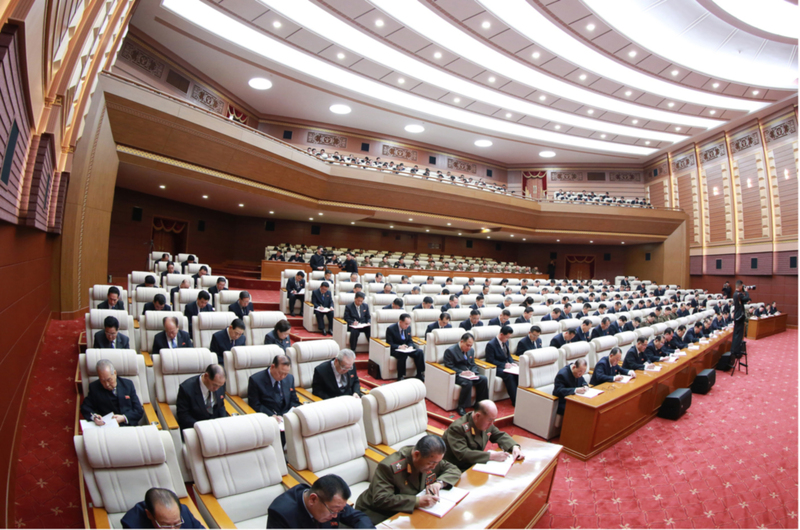 Then the WPK Central Committee meeting “discussed the organizational affairs” in which some of our favorite party organizations were “de-established” and underwent personnel housecleaning. Elected as full members of the WPK Political Bureau were: Kim Jae Ryong (Kim Ch’ae-ryong), Ri Man Gon (Ri Man-ko’n), Choe Hwi (Ch’oe Hwi), Pak Thae Dok (Pak T’ae-tok), General Kim Su Gil (Kim Su-kil), Thae Hyong Chol (T’ae Hyo’ng-ch’o’l), and Colonel-General Jong Kyong Thaek (Cho’ng Kyo’ng-t’aek). 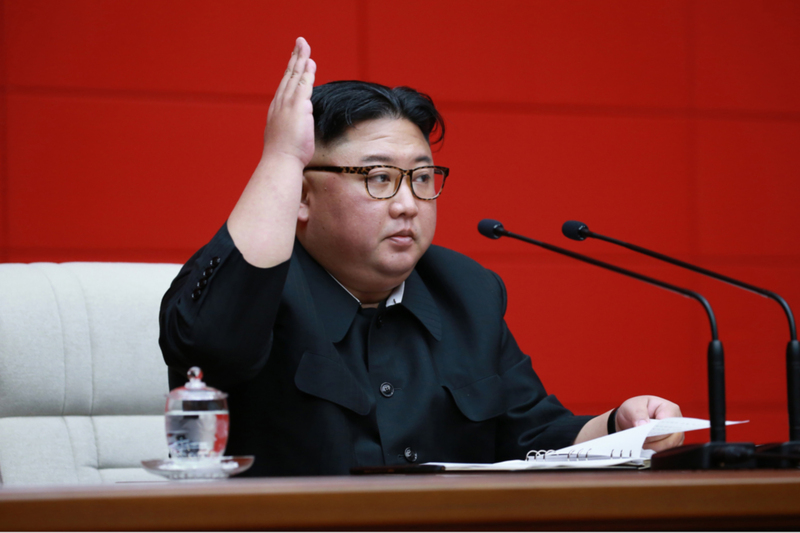 Elected as alternate (candidate) members of the WPK Political Bureau were: Jo Yong Won (Cho Yo’ng-wo’n), Kim Tok Hun (Kim Tok-hun), Ri Ryong Nam (Ri Ryong-nam), Pak Jong Nam (Pak Cho’ng-nam), Ri Hi Yong (Ri Hi-yo’ng) and Jo Chun Ryong (Cho Ch’un-ryong). Members of the WPK Central Committee itself (this is awkward) and the WPK Central Auditing Commission were recalled and elected, or elevated. 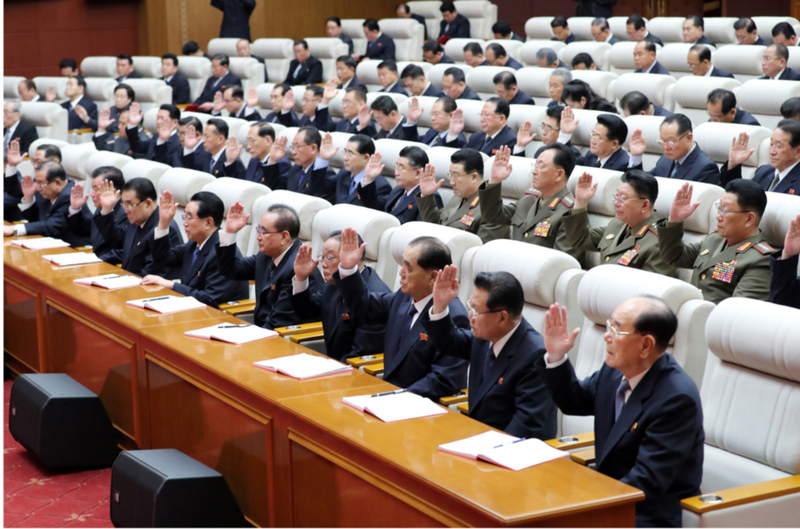 Pak Pong Ju and Ri Man Gon were appointed WPK Vice Chairmen. The Party Central Military Commission [CMC] had a housecleaning. Kim Jae Ryong, Ri Man Gon, Thae Jong Su (T’ae Cho’ng-su) and Kim Jo Guk (Kim Cho-kuk) were elected CMC members. 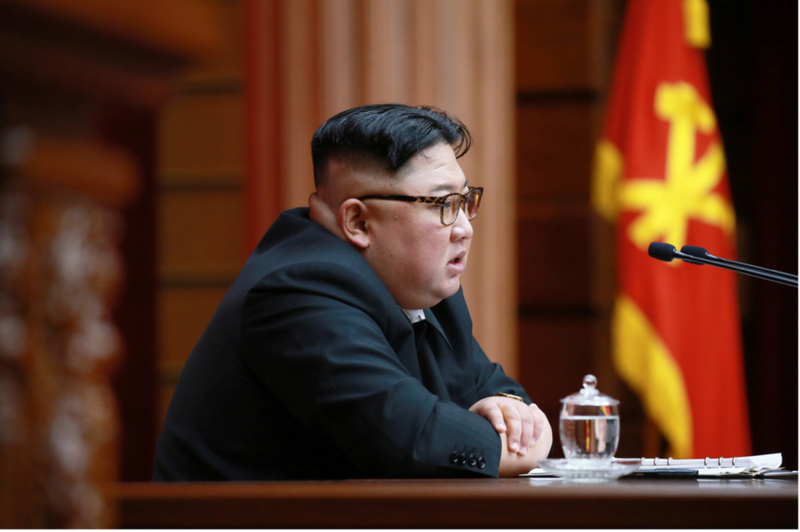 Some of the WPK Central Committee Department Directors and Senior Deputy Directors were removed from office or assigned other positions. Ri Man Gon, Jang Kum Chol (Chang Kum-ch’o’l) and Kim Tong Il (Kim To’ng-il) were appointed department directors. Jo Yong Won, Kim Jo Guk and Kim Yong Su (Kim Yo’ng-su) were appointed to the position of 1st Vice (Senior Deputy) Department Director. Finally, the WPK’s provincial party committees saw four personnel changes: Kang Pong Hun (kang Pong-hun) was appointed Chairman of the Chagang Provincial WPK Committee; Pak Chang Ho (Pak Chang-ho) was appointed Chairman of the North Hwanghae Provincial WPK Committee; Ri Chol Man (Ri Ch’o’l-man) was appointed Chairman of the South Hwanghae WPK Committee; and, Kim Chol Sam (Kim Ch’o’l-sam) was appointed Chairman of the Namp’o WPK City Committee. He emphasized some issues arising in applying the revolutionary stand and the principle of self-reliance. First of all, he underlined the need to make a clear understanding of the intention of the Party Central Committee which raised the issue of holding higher the banner of self-reliance as the main agenda of the current plenary meeting. He stressed that the basic spirit of the Fourth Plenary Meeting of the Seventh Party Central Committee is that the entire party, the whole country and all the people should courageously wage an all-out death-defying campaign to bring about a great surge in socialist construction by taking self-reliance as a treasured sword of prosperity today when the building of an economic power is raised as the main political task. He underlined the need to vigorously wage a grand advance for attaining the goals of economic construction set forth by the plenary meeting of the Party Central Committee to give full play to the offensive stamina of the country and confidently switch over to a new stage of growth. He also emphasized the importance of duty and role of the officials in properly drawing up the strategy of self-reliance and organizing all work on a scientific basis. He stressed the need for the party organizations and working people’s organizations to dynamically wage the political work for powerfully arousing all the party members and other working people to the grand march of self-reliance and thus make the whole country seethe with a new revolutionary atmosphere. 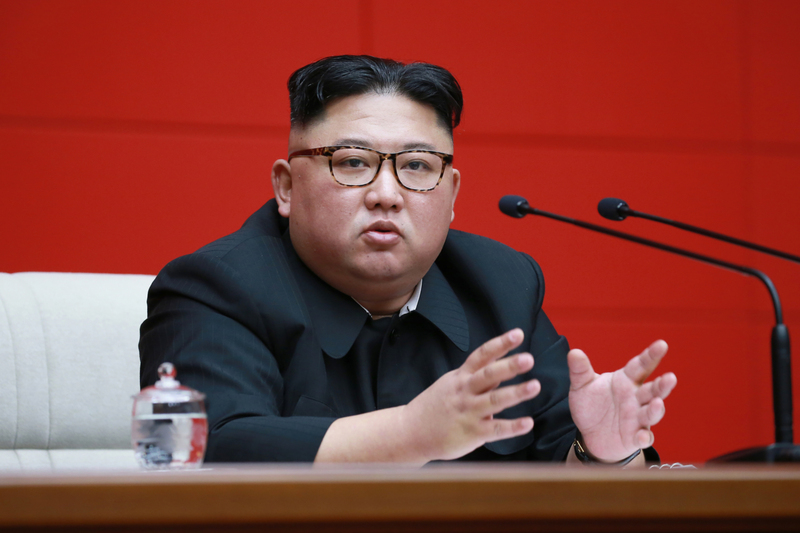 To thoroughly establish the socialist lifestyle is an important work for maintaining the Juche character and national identity and preserving the true nature of socialism and giving full play to its advantages in the field of cultural life, he said. He advanced the tasks facing the party organizations and officials in the struggle to do so. He expressed the expectation and conviction that all the officials, party members and other working people would vigorously wage the grand march of self-reliance to successfully attain the goals of struggle set forth by the Fourth Plenary Meeting of the Seventh Party Central Committee and thus achieve a new development in socialist construction and powerfully demonstrate once again the might of the country winning victory after victory with the might of self-development. This article was written on 11 Apr 2019, and is filled under "self-development first" slogan, 2019 elections, 2019 elections (SPA), 2019 Strategic Rhetoric, 7th Party Congress, Agriculture Department, An Jong Su (WPK LID), An Tong Chun, basic party organizations, Cadre Affairs, capital construction, Central Committee, Central Military Committee, Central Party Affairs/Cadres 5th Section, Cha Hui Rim, Choe Hwi (PAD], Choe Jong Ryong [SHW WPK], Choe Ryong Hae, Choe Son Hui (FA), Choe Tong Myong [SED], Choe Yong Rim, Col. Gen. Kim Rak Gyom (SRFC), Col. Gen. No Kwang Chol (KPAGS), Col. Gen. O Il Jong, Col. Gen. Pak Jong Chon, Col. Gen. So Hong Chan, Col. Gen. Son Chol Ju, Col. Gen. Yun Tong Hyon (MPAF), Comprehensive Affairs, corps command, corps commanders, county/city party organizations, critical infrastructure, Democratic Front for the Reunification of the Fatherland, DPRK Cabinet, DPRK Central Bank, DPRK Central Court (Supreme Court), DPRK Constitution, DPRK education system, DPRK Energy Policy, DPRK External Relations, DPRK Intelligence Community, DPRK Legal System, DPRK Premier, DPRK-US Relations, Events Management Section, Executive Policy Bureau, Finance and Accounting, Financial Planning Department, Five Year Economic Plan and Development Strategy (2016), Gen. Choe Pu Il, Gen. Jang Jong Nam, Gen. Jo Kyong Chol, Gen. Kang Phyo Yong (MPAF), Gen. Kim Yong Chol, Gen. Ri Myong Su, Gen. Ri Pyong Chol, Gen. Ri Yong Gil, General Affairs, General Federation of Science and Technology of Korea, General Federation of Trade Unions of Korea, gsd, gsob, Guard Command, Han Kwang Sang, ideological slogans, Ideological Works, International Affairs Department WPK, International Department, Jagang KWP Provincial Committee, Jagang Provincial People's Committee, Jang Chang Ha (MID), Jang Chol (State Academy of Science President), Jang Chun Sil (KDWU), Jo Chun Ryong, Jo Yon Jun (OGD), Jo Yong Won, Jon Il Chun, Jon Kwang Ho, Jong Kyong Thaek (State Security), Kang Pong Hun (WPK CC), Kang Yang Mo, Kim Chang Son, Kim Chang Yop (UAWK), Kim Chol Gyu, Kim Chong-un inspections, Kim Family, Kim Il Sung Youth League, Kim Jae Ryong (Jagang WPK Provincial Committee Chief Secretary), Kim Jong Un Visits, Kim Jong-un, Kim Ki Nam, Kim Ki-nam, Kim Kwang Hyok (KPAF), Kim Nung O (NPyongan WPK), Kim Phyong Hae (Cadres/NPYPPC), Kim Song Nam (IAD), Kim Sung Du, Kim Tok Hun, Kim Tong Un, Kim Tu Il, Kim Ung Chol (NDC), Kim Yo Jong, Kim Yo-chong, Kim Yong Hun (CC KWP Dept. Director), Kim Yong Nam, Kim Yong Su (WPK CC DD), kisyl, KJI Personal Secretariat, Korean Democratic Women's Union, Korean People's Army Supreme Command, Korean People's Internal Security Forces, Korean People's Army (KPA), Korean Workers' Party (KWP), KPA General Logistics Department, KPA General Political Bureau, KPA General Political Department, KPA General Propaganda Department, KPA General Staff, KPA Organization Department, KPA Party Life, KPA Supreme Command, KPA WPK Committee, kpif, Kwak Pom Gi, Local Party Affairs, Ma Wo'n-ch'un (AD), Main Office of Adjutants (Central Party Office #6), military security command [msc], Ministry of Foreign Affairs, ministry of people's security, Ministry of State Natural Resources Development, Ministry of State Security, Ministry of the People's Armed Forces (MPAF), Mun Kyong Dok, Namp'o WPK Committee, National Economic Development Commission, North Hwanghae Provincial KWP Committee, North Korean press, Office of Military Officers, Organization and Guidance Department, PAD Guidance Section, Pak Jong Nam (Kangwon WPK PC), Pak Kwang Ho (PAD), Pak Myong Chol, Pak Pong Ju, Pak Tae Dok (N. Hwanghae WPK), Pak Thae Song (KWP CC Dept), Party elders, party life, Party Life Guidance, Political Bureau, primary party committees, Propaganda and Agitation Department, Provincial Party Committees, Provincial Party System, Public Events, Pyongyang Defense Command, Ri Chol Man (DPRK Vice Premier/Minister of AG), Ri Hi Yong [NHAM WPK PC], Ri Il Hwan, Ri Ju O (DPRK Vice Premier), Ri Man Gon (N. P'yo'ngan WPK PC), Ri Pyong Chol, Ri Ryong Nam, Ri Sang Won (Yanggang WPK PC), Ri Su Yong, Ri Yong Chol (IAD), Ri Yong Ho (FA), Ri Yong Rae, Ri Yong Sik (Rodong editor), Ro Tu Chol, rural management committees, Ryang Jong Hun [NHWA WPK PC], Ryang Won Ho (PHI), Second Economy Commission, South Hwanghae KWP Provincial Committee, State Affairs Commission, State Planning Commission (SPC), State Security Department, Supreme People's Assembly, Tae Jong Su, Thae Hyong Chol (KISU President-MOHE), uawk, VMar Kim Jong Gak, Workers' and Social Organizations, WPK Economic Affairs Dept, Yang Hyong Sop, Yun Tong Hyon.